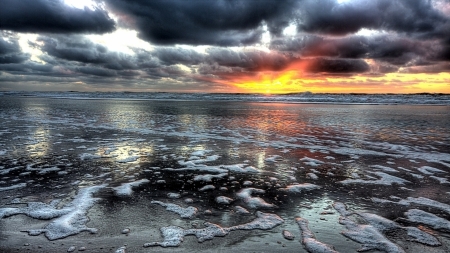 A golden, ambered sun peeks out from the clouds at the edge of a grey sea. Thickened, buttered waves of iris unfold like the most expensive suede, undulating under skies shot through with sweetened smoke. 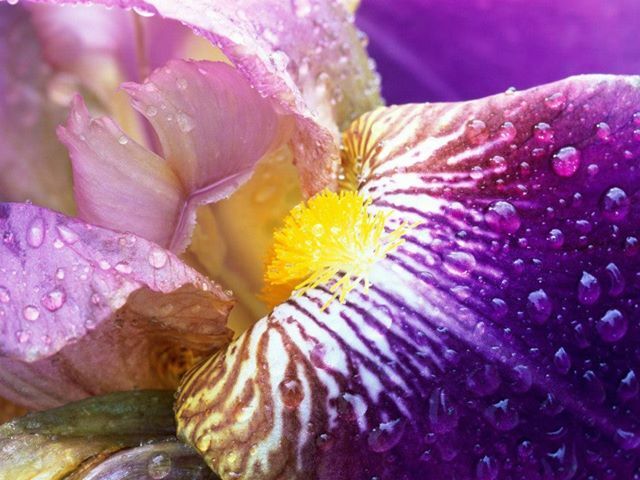 An iris flower floats on the surface, making a voyage from its cool, damp, earthy cellar towards the sun which warms it, turning it sweeter and sprinkling it with sweetened heliotrope. At times, the sun peaks out like golden eyes from behind the sheer veil of cool suede and warmed powdered sweetness. A giant orb of goldenness, speckled with ambergris, red resins, and candied delights. It shines upon the iris as it makes its journey and finally arrives at a distant shore of sweetness that cocoons it like the softest whisper of pink and white cashmere silk. These are the voyages of the Starship Iris, better known as Khôl de Bahreïn. 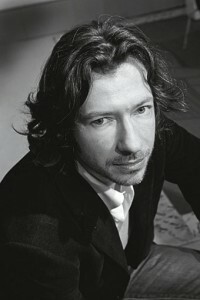 Stephane Humbert Lucas via CaFleureBon and Marieclaire.it. Khôl de Bahreïn is a fragrance from a new niche perfume house, founded by a man who has been making perfumes for quite a long time. Stéphane Humbert Lucas 777 is the new venture of Stéphane Humbert Lucas who was the in-house perfumer for Nez a Nez and SoOud. Mr. Lucas launched his new brand in 2013, along with 7 fragrances, all of which are inspired by the Middle East and their style of perfumery. Khôl de Bahreïn (which I’m going to henceforth write without all the accentuation and carets) was one of those scents. Unguent with an intense trail. Heavy perfume, unctuous, amber, reference to kohl and to the zenjar used in the region of Bahreïn. Khôl de Bahreïn offers a blend of ambergris and resinous notes which create a balsamic-woody fragrance with an intense and lasting wake. Khol de Bahrein opens on my skin with a burst of sticky, dark resins that have a caramel, nutty aroma. 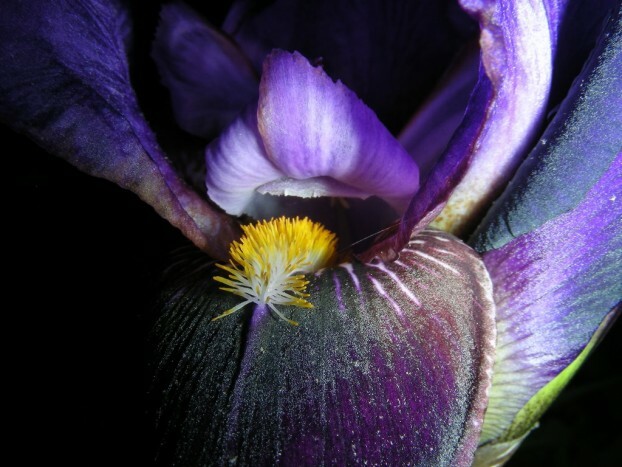 Almost immediately, the iris appears on their heels. It feels like the most expensive, thick, orris butter imaginable, and has a smell that is simultaneously: slightly cool, earthy, buttery, deep, and warm, all at once. 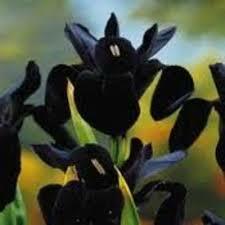 Something about it evokes the feeling of velvety petals — grey and black — along with thick, grey suede. The minute it arrives, the amber and resins take a step back to let the iris shine in the spotlight. Yet, subtle hints of benzoin sweetness lurk around the flower’s edges, as if candies are about to rain on earthy iris fields any moment now. A tiny wisp of smoke adds yet another paradoxical layer in this extremely unusual combination. Five minutes in, the sweet elements seem to tire of their brief wait on the sidelines and flood center stage to crowd around the dark floral. I can’t really place the notes, as they are definitely not the “nougat” that I saw on one site’s ingredient list. “Caramel” doesn’t really fit exactly either, though it is closer. Perhaps, the best way to describe it is as vaguely sticky ambergris and toffee’d balsamic resins. Yet, for all the sweetness of the accord, Khol de Bahrein doesn’t verge on the gourmand for me. First, the competing elements are very carefully balanced, but, second, and more importantly, the iris counteracts the candied resins with its earthy coolness. It is a very refined note that conjures up images of a single flower growing in the slightly damp earth of a darkened cellar. Yet, it’s neither icy nor crypt-like. There is nothing fusty, carrot-y, or dank about it, either. Just plenty of cool notes with heavy suede and creamy butter. Something about the combination of iris with sticky resins feels very unique to me, though I grant you that I don’t have extensive knowledge of the iris category. In fact, I wholly lack the iris appreciation gene, but I spend the next few hours being utterly amazed by the note in Khol de Bahrein. It really feels like an actual “butter” version of the flower with a heavily creamed richness that I haven’t encountered in other iris scents. Not even in Nuances, the limited-edition, ridiculously expensive Armani Privé Les Editions Couture iris soliflore that supposedly had the richest, most expensive, concentrated iris as its focus. On my skin, in the opening period, the iris butter pretty much trumps everything. Violets are listed Khol de Bahrein’s notes, but I generally didn’t detect them. However, they did appear briefly the very first time I wore the perfume when I only applied a few dabs of Khol de Bahrein. It was a dewy, earthy, pastel, delicate note, but it was short-lived. When I applied a greater quantity of Khol de Bahrein, it certainly couldn’t seem to stand up to the strength of the other accords. What was interesting about that first test was something else that happened. 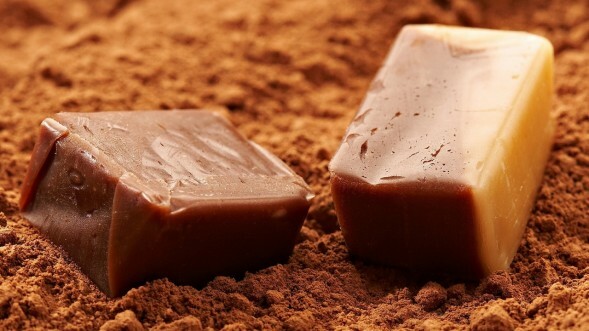 From the first instant, there was an utterly addictive, sweet, powdered amber. 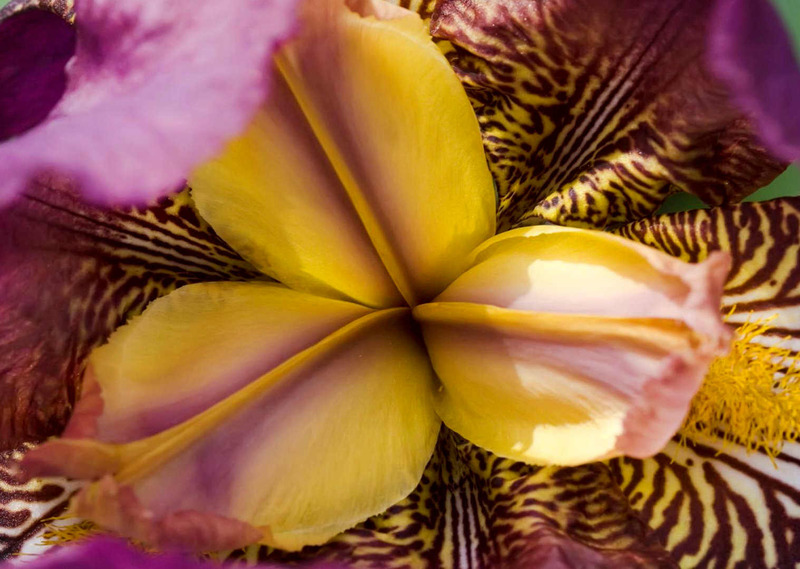 I’m not a particular fan of iris, and I’m also not enthused by powderiness either, but, I tell you, I simply could not stop sniffing my wrists. I felt almost crazed at times by the draw of Khol de Bahrein, and I’ve finally figured out what was the lure: it smelled like an ambered form of heliotrope. The characteristic comforting scent of heliotrope has been proven to induce feelings of relaxation and comfort, a pampering atmosphere that finds itself very suited to languorous oriental fragrances and delicious “gourmands”. I’m spending so much time on this because, in my opinion, that aroma is one of the secret keys to Khol de Bahrein’s beauty. In my first test, using very little of the perfume, Khol de Bahrein immediately wafted the most delicious, tasty, heliotrope amber confectionary aroma with just the perfect balance of sweetness and powder. It reminded me of a tonka-covered amber orb that glowed like candlelight in a cozy, warm, vanilla cocoon. Khol de Bahrein gets to the exact same point eventually with the larger dosage, but there is a lengthy iris butter period that you have to get through first. Since, as noted above, I’m not a particular fan of iris scents, I don’t find it deeply compelling, but it’s very hard to deny the quality of the note. I’m actually quite riveted by the sheer opulence and richness of the flower. I repeatedly thought to myself that it felt like the sort of thing that Roja Dove would do, and I mean that as a compliment. Thirty minutes in, that golden amber tantalizes me with its nearness and elusiveness. 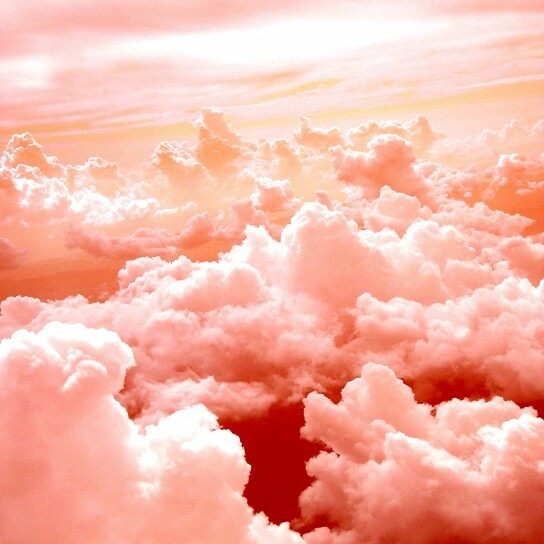 It lingers just out of reach on the horizon, like a gauzy veil of caramel that has been thinly lacquered onto a glowing orb of musky, vaguely salty, deep ambergris which is then lightly dusted with vanillic benzoin powder. Slowly, slowly, the amber sun starts to warm up the cool iris waters, softening their damp, aloof, earthiness. The flower turns more powdered, as if it were shaking off white pollen in the sunlight, but the predominant feel is of thick orris butter. The amber’s promise lies hidden not only behind that note but also behind a new arrival on the scene: smokiness. It’s very subtle at first, but it’s definitely there. To my nose, it doesn’t smell like black frankincense but, rather, like sweet myrrh (opoponax). It’s a surprisingly sharp note, but also sweetened and vaguely nutty in undertone. Photo via free-desktop-backgrounds.net, then edited by me. As a whole, Khol de Bahrein smells from afar like heavily sweetened iris, warm powder, sweet and incense lightly flecked by caramel resins and goldenness. The perfume is really potent up close, and very heavy in feel, with initially good sillage that wafts about 2-3 inches above the skin. By the end of the first hour, the sillage drops further, and Khol de Bahrein turns into a beautiful, seamless blend of ambered iris with subtle traces of sweetened iris powder and sweetened smoke. Yet, none of it feels gourmand. The perfume screams refinement and luxuriousness to me, not dessert or candy. Khol de Bahrein is largely linear in nature with the main changes over time being the order and concentration of the notes, along with the perfume’s overall warmth and texture. The iris continues to lose its cool edge and that feeling of thick orris butter. It turns more and more into pure suede, at first thickly plush and heavy, then lighter as it sinks into the base. Khol de Bahrein’s sillage drops to just above the skin at the 90 minute mark. Around the same time, the amber sun finally comes out from behind the grey clouds, and the perfume now feels like vaguely irisy, powdered amber, instead of iris that is merely tangentially ambered. Something about Khol de Bahrein’s new golden aura strongly brought to mind Histoires de Parfums‘ billowy Ambre 114. I think anyone who enjoys the latter’s ambered softness, while also loving rich iris butter, would definitely love the combination of the two notes in Khol de Bahrein. As the perfume continues to realign itself, that addictive part that I talked about earlier creeps closer and closer. About 2.5 hours in, the heliotrope impression finally arrives on the scene. Again, the perfume list does not mention heliotrope at all, but something in the benzoin resin alluded to by the Sagma distributor definitely recreates that smell. Khol de Bahrein is now sweetened, almost vanillic powdered amber with touches of sweetened suede that is lightly flecked by an equally sweet incense. It’s a bit like Ambre 114 with incense, but with every passing moment, a much stronger comparison would be to Guerlain‘s Cuir Beluga. By the end of the 3rd hour, Khol de Bahrein is a dead ringer for Cuir Beluga on my skin, only with a touch of nebulous, abstract, incensey smoke. It has lost its ambered focus, and turned into pure “heliotrope” with sweetened suede. Khol de Bahrein doesn’t have heliotrope’s almond or marzipan nuances, but reflects instead its cozy, comforting, vanilla meringue facets. The amber now manifests itself largely as a sort of warmth which works really well with the textural softness of the “heliotrope” (or whatever resin is mimicking it). As a whole, the perfume feels like the cuddliest, cashmere blanket. 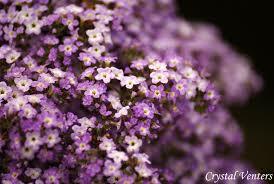 Since heliotrope always visually translates in my mind to pink and white hues, the perfume now does the same. I find it all utterly addictive, but I wish it weren’t so soft and discreet. The same problem that I had with Cuir Beluga is manifesting itself here, with a scent that lies right on the skin. That said, Khol de Bahrein is much stronger and more intense in its notes when sniffed up close. In fact, whenever I thought it had turned into a skin scent, I was surprised to detect little tendrils in the air about me. In particular, whenever I moved my arm or walked about, I could smell that vanilla meringue suede as an elusive whisper trailing in the air. It’s not my favorite way to smell a perfume, but Khol de Bahrein’s sheer weight and soft sillage turn out to be quite misleading in terms of the perfume’s strength. Khol de Bahrein feels like undulating waves in more than one way. 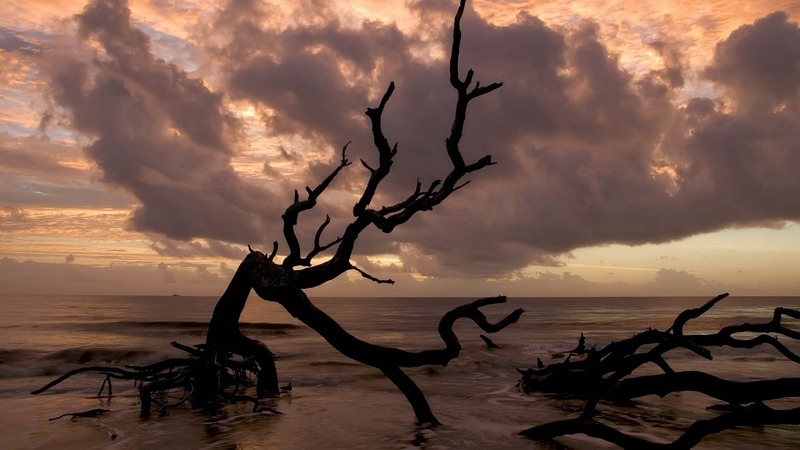 First, there was the iris butter that lapped about the shores. Then, as the iris retreated from its cool earthiness, the grey suede moved in. Later, the amber, and then, the “heliotrope”-like, benzoin meringue powder. 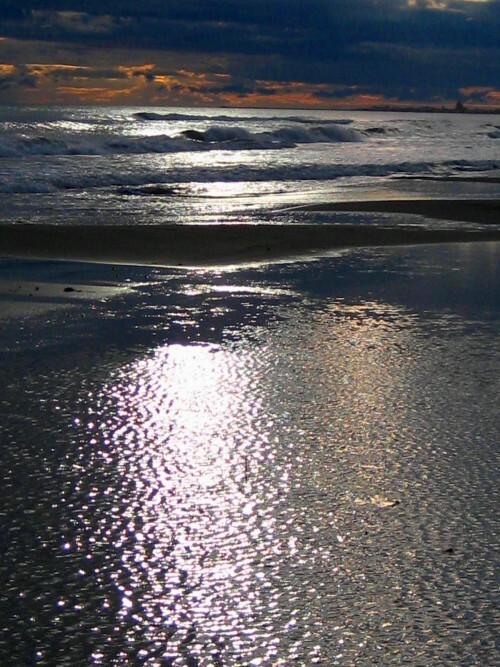 Shortly after the start of the 6th hour, the waves change again, and the perfume turns drier. There are fluctuating levels of smokiness. Or, rather, the smokiness reappears again in a much stronger way, now that the heliotrope-like powdered sweetness has ebbed. Khol de Bahrein suddenly feels like a much drier, darker, somewhat smoky version of Cuir Beluga. It is also a true skin at this point, and its subtleties are much harder to detect. The subtle smokiness and incense don’t last long, however. Perhaps an hour at most. Then, Khol de Bahrein returns to its main core of powdered sweetness. The impression of iris suede as an underlying base vanishes completely. The perfume lingers as the silkiest, thinnest, gauziest breath of sweet benzoin on the skin for several more hours, until it finally dies away entirely about 12.5 hours from the start. Frankly, I was amazed that it lasted so long, because it really is such a discreet, intimate scent for a good portion of its lifespan on my skin. Khol de Bahrein feels like the sort of fragrance that many people would think had only good longevity, not an excellent one, because they wouldn’t be walking around with their nose on their arm. However, I’m sure that spraying and the use of a large amount would help matters, as the perfume really is quite concentrated when smelled up close. I think Khol de Bahrein is a really lovely, luxurious, very expensive-smelling fragrance, and I say that as someone with little personal appreciation for iris. I do think, however, that it skews feminine. My reasoning is that I don’t see the vast majority of men really being into powdered iris as the dominant focus for their fragrance. I admit, it’s a wholly subjective, personal interpretation, and I certainly know some men who adore Cuir Beluga, as well as many iris-centered fragrances. I’m sure a few would thoroughly enjoy a more iris-y, oriental, less gourmand, and, at times, more smoky take on Cuir Beluga. For the vast majority of men, though, I think Khol de Bahrein might feel a little feminine. It’s really going to come down to your feelings on both iris and powdery notes, not to mention skin chemistry. after having worn it quite a bit I know it to be one of the best perfumes of this year and the best perfume of M. Lucas’ career, so far. The name Khol de Bahrein refers to the dark eye makeup often seen in the Middle East and North Africa. 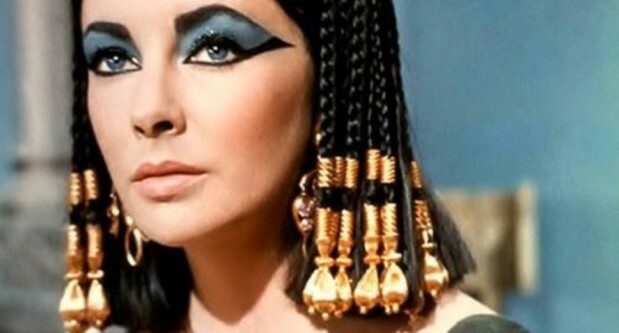 Elizabeth Taylor sported kohl rimmed eyes for her portrayal of Cleopatra. Also they are often the only part of a Muslim woman you can see when she is out and about. The darkness around the eyes causing them to feel like they almost float within the hijab. M. Lucas has created a fragrance framed in darkness with the depth of a human eye in the middle. Khol de Bahrein is as mesmerizing as a hypnotist’s stare; you will find yourself lost in its spell. The metaphorical eyes of Khol de Bahrein are as lavender as Liz Taylor’s were. The opening uses violet at the core but is surrounded with a resinous frame of dark incense. 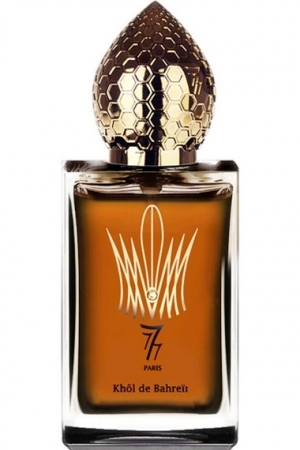 The one thing I appreciate about all of the Stephane Humbert Lucas 777 fragrances is there is no gentle step down to intensity. No flare of citrus or bergamot; instead it as bracing as stepping into a cold shower, it catches your attention. I love violet and the interplay of resins and violet are wonderfully woven. Then the purple of the iris deepened by the note of orris. Lush and opulent it is made buoyant with the addition of a creamy sandalwood and briny ambergris. This really feels like the real stuff on the ambergris, no ambrox here. The final touch of blackness comes from amber, balasamic notes, and musk. There is a feel of humanity in the last accord. The eyes may be all you see but they are worth getting lost within. Khol de Bahrein has ridiculous almost 24-hour longevity and above average sillage. The sillage is surprising for something at extrait strength. I hope this piques the interest of those of you who have never heard of M. Lucas. If you’re looking for a new perfumer to explore I can recommend nobody any higher. As one who has come to enjoy his style let me reiterate; Khol de Bahrein is the best perfume of M. Lucas’ career and one of the best new perfumes of 2013. An overall 80% favorability rating is really quite good, though I’m apparently not alone in my feelings about the sillage. Khol de Bahrein comes with some drawbacks, primarily in terms of accessibility. This is a perfume that is a European and Middle Eastern exclusive, though American readers can test it easily by ordering a sample from Surrender to Chance. It’s not even widely available within Europe itself, with only a handful of distributors for the line. First in Fragrance is your best bet, and, thankfully, they ship worldwide. The other issue is the price, though I think that can easily be justified when put into context. Khol de Bahrein costs €148 for a small 50 ml bottle. At the current rate of exchange, that comes to roughly $203, which is a teensy bit high for the size. However, Khol de Bahrein is a fragrance that its Middle Eastern distributor, the Sagma corporation, states is pure parfum extrait with 24% concentration. Khôl de Bahreïn is presented in a transparent flacon with genuine gold lettering, gold cap and a small-faceted peach-coloured Swarovski crystal set on the stylized crown. A raised honeycomb pressed against a dome reminiscent of two architectures (Ottoman and Russian) where the sharp point brings to mind the summit, the sacred. The triple 7 is continued on the ring of the cap, it signifies: Spirituality, protection, luck. The figure 7 is the author’s fetish. The 777 logo is also engraved within the heart of the honeycomb. The raised facets represent work, determination and well-being. The significant weight of the cap imparts respect and strength. The cap is hand-milled, anodised and varnished. The box has been created using a double-coated black leather effect paper decorated with hot-stamped letters and logo. The 777 theme is taken up on the interior of the flap, followed by a short poem written by the author. Is Khol de Bahrein a complicated, revolutionary, edgy scent? No. It’s not trying to be. It wants to be a refined, luxurious statement that reflects a Middle Eastern sensibility. As someone who has actually lived in the region, I found Khol de Bahrein to be as Middle Eastern as Guerlain — which is to say, not at all. However, it definitely reflects a French sensibility and the feel of French haute perfumerie. A highly refined scent with very expensive, pure ingredients that are blended seamlessly to create the feel of pampered luxuriousness. Plus, it happens to have cozily delicious parts on top of it all. If I were ever to wear an iris scent, it would probably be Khol de Bahrein. Really lovely! Cost & Availability: Khol de Bahrein is an Extrait or pure parfum that comes only in a stunning 50 ml bottle that costs €148. I haven’t found any U.S. distributors for the scent. Stéphane Humbert Lucas’ website is under construction, and doesn’t have an e-store. Outside the U.S.: you can order Khol de Bahrein from First in Fragrance, though shipping will be delayed until after March 7th. They also offer a sample, and global shipping. Zurich’s Osswald also carries the line and lists Khol de Bahrein on its website, but I don’t think they have an e-store any more. The Swiss perfumery, Theodora, also has the perfume, but no e-store. In the Middle East, there is a UAE distributor called Sagma Corp that carries the full line, but they don’t have an e-store. However, you can buy Khol de Bahrein from Souq.com for AED 1,500. In Russia, Khol de Bahrein is available at Lenoma. It is also listed on the ry7 website, but I’m unclear as to its availability. Ukraine’s Sana Hunt Luxury store also carries it, but they don’t have an e-store. Samples: I obtained my sample from Surrender to Chance which sells Khol de Bahrein starting at $4.75 for a 1/2 ml vial.